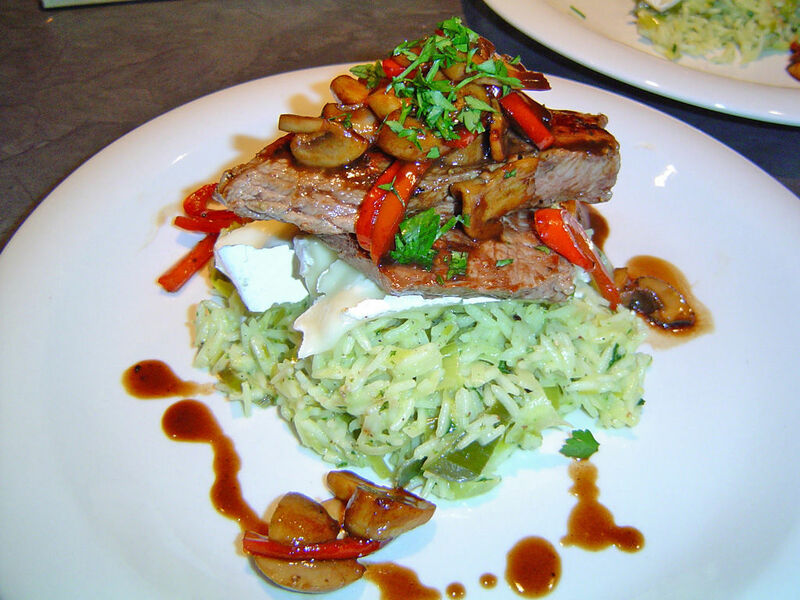 Gourmet Steaks | Everything about gourmet steaks. Steak sauce recipes are often based on store-bought steak sauces, such as A1 Steak Sauce, HP Sauce and Heinz 57. While such steak sauce recipes are very simple and quickly prepared they leave less freedom to the cook. This recipe will show you how you can create a steak sauce, similar to the Heinz 57 brand, yourself. Steak sauce is usually a dark brown or orange sauce, often served as a condiment for stakes. There are two distinct varieties of steak sauces. The taste of some sauces, like the A1 Steak Sauce, is tart, while some stake sauces taste sweet and spicy. In restaurants, steak sauce is often available in bottles, just like ketchup and mustard. Heinz 57 is a steak sauce produced by Heinz, an American food company, best known for its ketchup. 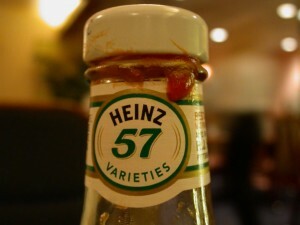 Heinz 57 has a dark orange color and has a taste resembling spiced ketchup. Begin by preparing the raisin puree by blending the raisins and waiter. Blend for about 1 minute until you get a smooth puree. Pour ¼ cup of puree you just made into a medium sized pan. Add the rest of the ingredients and whip until the mixture becomes smooth. Turn the heat to high and heat the mixture until it boils. Then reduce the heat to low leave it to boil slowly at low temperature for about half an hour, until the mixture becomes thick. Keep the saucepan uncovered. Leave the sauce to cool off, put in in a closed container and put it in refrigerator for at least one day. You should never use steak sauce on finer gourmet steaks, such as T-bone, porterhouse, strip stakes and club steaks. A sauce on such gourmet cuts would cover the natural flavor of the meat.